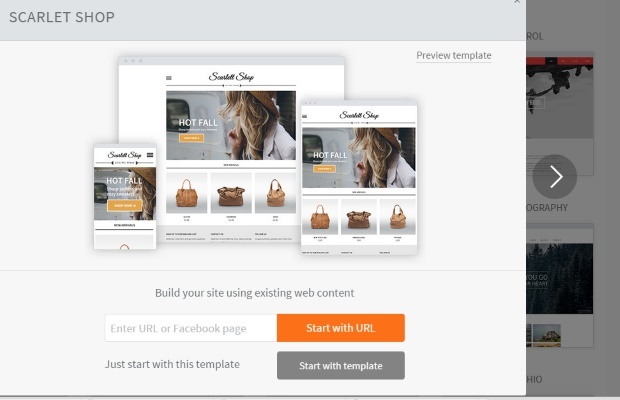 Like the best website builders, the website templates at Duda are professionally designed and are optimized across all devices including PCs, smartphones and tablets, without any extra steps involved. Most of these templates are not industry-specific but rather offer unique designs and color schemes adaptable to your specifications. The drag and drop editor allows you to easily build your own website with free stock images, text, maps and widgets, however you please. 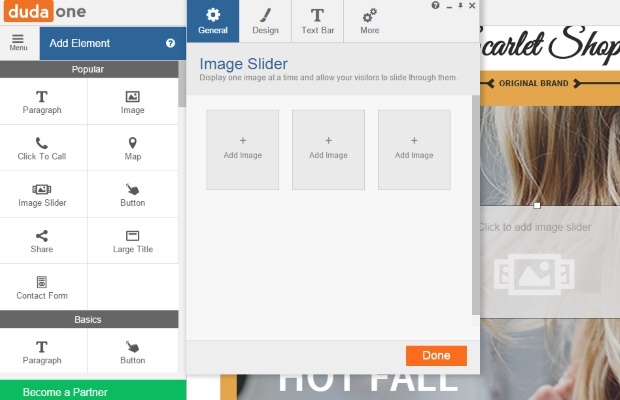 An image editor is included within the web builder for ease of use. 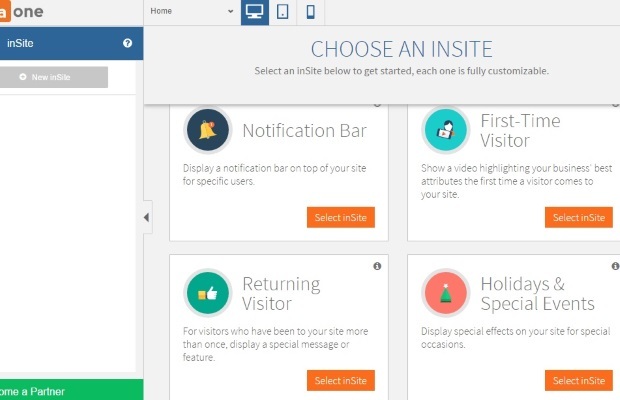 InSites change content dependent on time of day or year, visitor location, or their previous visits to your site. Glitter your website with special effects for seasonal holidays, or display an out of hours contact form so your customers know they are reaching you whatever the time of day. You can even ensure that repeat visitors aren’t greeted with the same old welcome message, or have visitors in the name vicinity access a "Click to Call" button from the home page. InSite is the way forward in responsive customer focused web design. Duda offers a free membership that allows you to create a site that is fully responsive across all devices. In addition, the site includes community support, a Duda domain and professional hosting, as well as a 30-day trial to InSite. There are also paid plans to choose from – the Business + and Business + Ecommerce, which have additional features and cost $14.25 per month and $22.50 per month, respectively. The Business plans take away adverts, offer site backup and developer modes to customize your website. 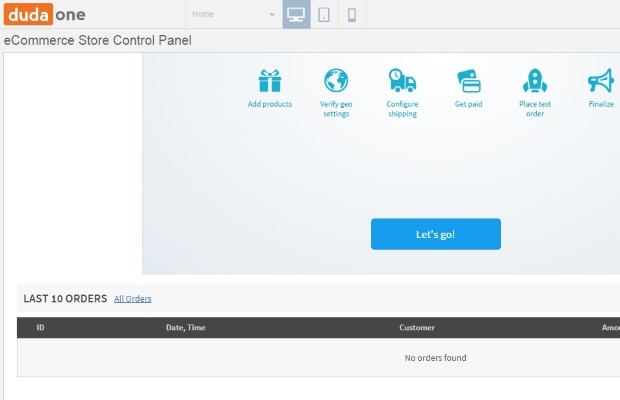 The Business + Ecommerce option allows you to place 100 products over unlimited categories on your online store, and use over 30 payment providers to draw in business, as well as powerful product reviews integrated with Facebook. If you still need more space, add up to 2500 products on your website for $36.75 per month. If you’re interested in the Duda Pro Reseller program, this starts at $249 per year, with discounts on every site you sell, and access to the same 30-day free trial. Do bear in mind that these are all annual plans. Month-to-month options are available for a premium.